He may solve the Dragons’ recent main tank issues. In a stunning trade just days before the Overwatch League’s second season begins, the Shanghai Dragons have acquired Noh “Gamsu” Young-jin from the Boston Uprising. 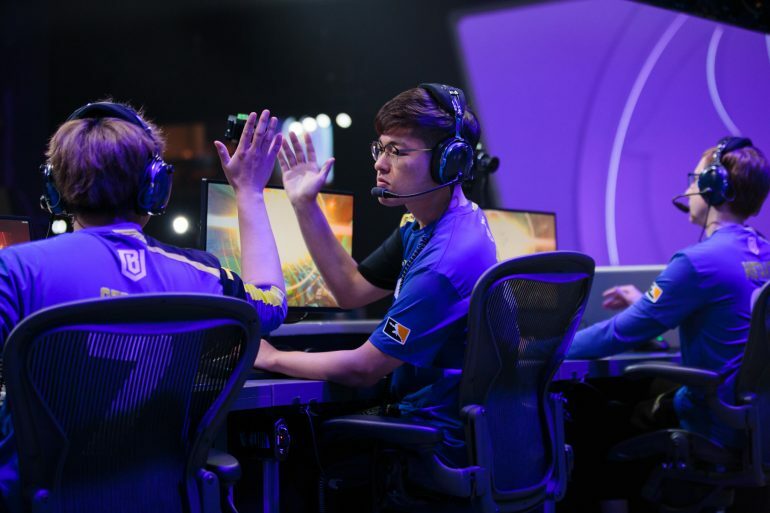 Gamsu is known for his stellar Reinhardt play, which was a critical piece of the Boston Uprising’s up-and-down season last year. The Uprising had the longest win streak of games in OWL’s history and went undefeated in stage three, losing only to the New York Excelsior in the playoffs. Their luck faded in stage four, though, and while they made it to the postseason due to their record, they fell in the first round. The Shanghai Dragons have more to prove, however. After losing every game in the inaugural season, they’re banking on new talent to bring them success. Gamsu will join a mostly South Korean roster in which only two players from the original Shanghai lineup remain—Chinese DPS player Weida “Diya” Lu and off-tank Kim “Geguri” Se-yeon. Some of the newest players are former members of KongDoo Panthera, a successful Korean Overwatch Contenders team.